1284 - 25 May 1291 Duchy of Finland granted as fief of Swedish crown. 2 Dec 1302 - 10 Dec 1317 Duchy of Finland granted as fief of Swedish crown. 1353 - 1357 Duchy of Finland granted as fief of Swedish crown. 1465 - 12 Nov 1467 Duchy of Finland granted as fief of Swedish crown. 27 Jun 1556 - 12 Aug 1563 Duchy of Finland granted as fief of Swedish crown. 28 Aug 1713 - 30 Aug 1721 Russian occupation. 30 Aug 1721 Karelia and Viborg (Vyborg) ceded to Russia. 29 Aug 1742 - 16 Jun 1743 Russian occupation. fortress surrenders on 6 Apr 1808). communicated to the Great Powers. Russian imperial title by decree of the Emperor. of Fredrikshamn (Hamina)(signed 17 Sep 1809). itself on 15 Nov 1917. 6 Dec 1917 Proclamation of state sovereignty approved by Diet. 4 Jan 1918 Independence recognized by Russia. during the Finnish civil war. 5 Apr 1918 - 16 Dec 1918 Germans military intervention in Finland. 1918 which is gazetted 28 Dec 1918). (Pechenga) by treaty with Soviet Russia. 24 Jun 1921 Sovereignty over Åland Islands awarded to Finland. at Soviet occupied town of Terijoki. the Hanko peninsula to the Soviet Union. re-occupied 29 Jun 1941, Viipuri on 29 Aug 1941). (retroactive to 15 Sep 1944). 20 Jun 1944, from 15 Oct 1944 in Petsmo). leased to Soviet Union until 26 Jan 1956. Vysotskiy Island is removed from the lease). ¹common confusion over the polity name ("grand principality" versus "grand duchy") stems from the fact that the title initially introduced was that of a "duke" (Hertig til Finland); "duchy" being the regular designation of a region within the Swedish kingdom), whereas subsequently and still in the 19th century the title used was that of "grand prince" (Storfurste till Finland, in Russian Velikiy knyaz'). The style of the polity should therefore be correctly rendered as "Grand Principality". 2title used 1809-1917 only as a part of the full and/or short title of the Emperor of Russia; equivalents in other languages used for official purposes: (in Russian) Velikiy knyaz' Finlyandskiy; (in Swedish) Storfurste till Finland; (in Finnish) Suomen Suuriruhtinas (Grand Prince of Finland). 3Friedrich Karl Ludwig Konstantin, Prinz und Landgraf zu Hessen (s.a.) was elected King of Finland (Suomen kuningas) by the Diet on 9 Oct 1918, but declined to accept the crown. His decision was communicated by a letter on 14 Dec 1918 addressed to the Finnish ambassador in Berlin. The Council of State of Finland published the letter in the official gazette 28 Dec 1918. In the Finnish election document the prince was called "Fredrik Kaarle", the name "Väinö I", occasionally reported as the intended regnal name, was never actually considered a name for the king of Finland. Noble titles: Greve/Graf = Count; Friherre/Freiherr/Vapaaherra = Baron; Jarl = Earl; Knyaz' = Prince. 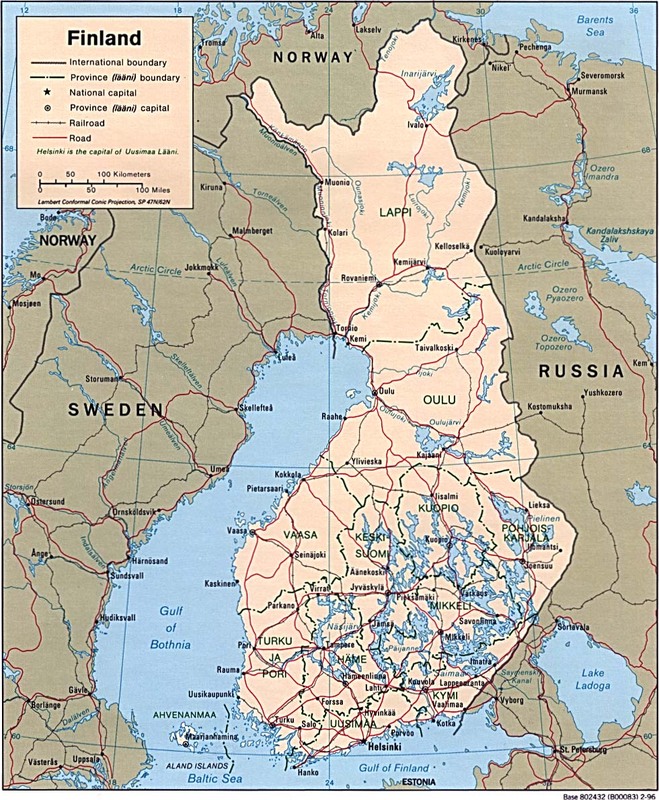 Territorial Disputes: None; Following a treaty agreement in 1963, the Soviet Union leased the Soviet section of the Saimaa Canal area and the island of Malyy Vysotskiy (Ravansaari) to Finland for fifty years. Under the new Saimaa Canal lease treaty signed by the Finnish and Russian governments in 2010, the lease was extended for another fifty years and Malyy Vysotskiy was again to be managed by Russian authorities, the treaty went into effect on 17 Feb 2012; Various groups in Finland advocate restoration of Karelia and other areas ceded to the Soviet Union, but the Finnish government asserts no territorial demands. from holding sessions in the south of Finland. 4-9 Apr 1918 Forced to move from Helsinki to Viipuri (modern Vyborg). Russia (holding last meeting in Russia exile on 27 Apr 1918). at Soviet occupied town of Terijoki (now Zelenogorsk, Russia). 1940) as part of Karelo-Finnish Soviet Socialist Republic. for 30 years by the Treaty of Moscow. 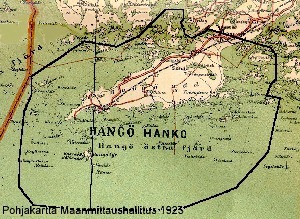 22 Mar 1940 Soviets occupy Hanko (Hangö)(as Hanko Leased Territory). 2 Dec 1941 Soviet forces withdraw from Hanko. 4 Dec 1941 Hanko re-occupied by Finland, lease terminated. Armistice (confirmed by the Treaty of Paris on 10 Feb 1947). 30 Sep 1944 Finnish population evacuated. 3 Oct 1944 Soviets occupy Porkkala (Naval Base Porkkala). 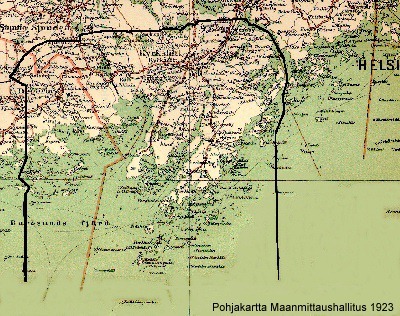 19 Sep 1955 Soviet Union agrees to restore Porkala to Finland by agreement. 26 Jan 1956 Soviet Union restores Porkkala to Finland. of Åbo och Björneborgs län (= Turun ja Porin lääni). 8 Aug 1714 - 10 Sep 1721 Russian occupation (along with all of Finland). 1 Jun 1743 - 16 Jun 1743 Russian occupation (along with all of Finland). 22 Mar 1808 - May 1808 Russian occupation (along with all of Finland). the islands from Åbo och Björneborgs län. 17 Mar 1809 - 13 Oct 1809 Russian re-occupation of the islands. Russia as part of Finland (ratified 13 Oct 1809). stipulates that the Åland Islands shall be demilitarized. 20 Aug 1917 - 1921 Popular local movement to rejoin Sweden. 6 Dec 1917 Part of independent Finland. 25-29 Dec 1917 By plebiscite the islands vote 95% for reunion with Sweden. 13 Feb 1918 - May 1918 Occupied by Sweden. 6 Mar 1918 - Oct 1918 Occupied by Germany. 7 May 1920 Autonomy Act for Åland is enacted by the Finnish parliament. 24 Jun 1921 Recognized as part of Finland by the League of Nations. 28 Dec 1951 New autonomy act (effective 1 Jan 1952). 16 Aug 1991 Revised autonomy act approved (from 1 Jan 1993). 1714? - 1722? Bengt Andorin ?